Every human being dreams about an apartment where he can live and enjoy being around with their loved ones. They try to find apartments which are spacious and are designed with beautiful architecture and infrastructural planning. Buyers look for ready to move projects in Richards Town Bangalore where there is a lot greenery thus can enjoy and relax their mind and soul with the soothing effect of the green environment. Property in Richards Town Bangalore is one the best-designed apartments which provide you spacious apartments and are covered with green lush all around. These apartments give you wide range of amenities which are basic as well as luxurious and can elevate the buyer’s lifestyle. 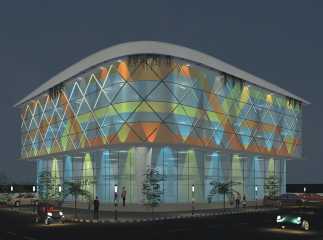 Commercial space in Richards Town Bangalore is a smart investment for the proud buyers as well as the investors. The prices of these sophisticated and beautiful apartments are affordable and the available & supported by friendly payment plans or home loan services.